Although over 500 responses to the Governance Review have been received and posted on the Rother council website up to March 24, one cannot help but conclude that this number would have been far higher if the council had made a proper and concerted effort to engage on the issue with residents. Nearly 4,000 people asked for the review, so why are there not at least that number of responses? The council could have chosen to write to those signatories and tell them the review was underway. They chose not do, leaving it to a voluntary organisation Democracy4Bexhill (D4B) to produce, print and hand deliver a letter and response form to them. Governance review consultations conducted in other parts of the country have made printed information widely available and sent to all households. 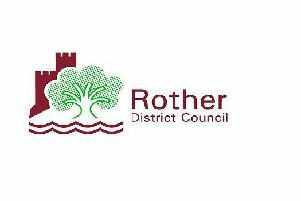 Rother council’s printed information however was limited to a 33 word A5 leaflet that directed those fortunate enough to come across it to speak to their local councillor, visit the town hall of look at the council website. Taken to task on this by D4B, Rother council did reluctantly agree to mail a copy to every household with their council tax bill - just 10 days before the end of the stage one deadline. Residents who care about Bexhill need to make sure they take part in the second stage of the consultation later in the year and not let those who do not live in Bexhill deny them of the opportunity to look after our town ourselves. Remember, 20 of the 38 councillors on Rother council do not represent Bexhill. Don’t leave it to them to decide our future. Demand a local referendum on the final proposals, otherwise the 4,000 people who started this campaign will have been betrayed, and the only people to blame will be the silent majority.